A producer friend Mike Langford and I decided to have a geek out session and compare a few microphones for acoustic guitar recording use. 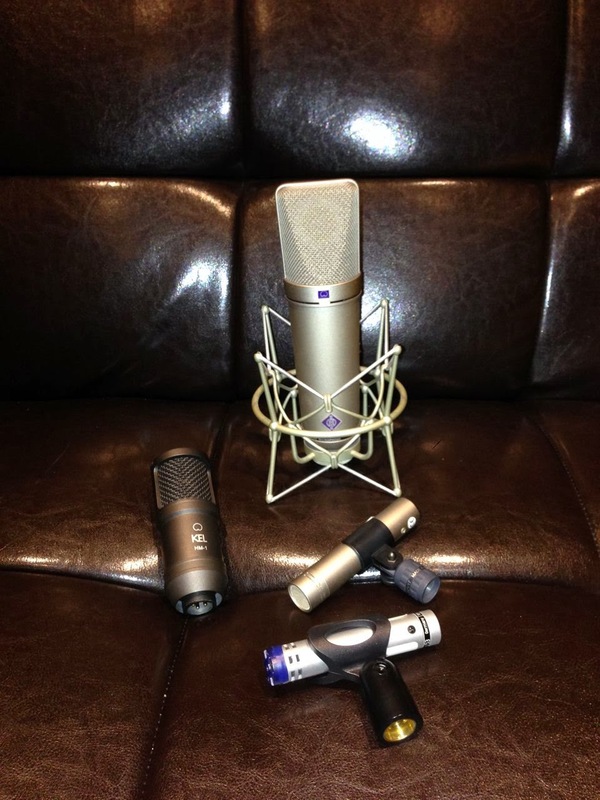 In the microphone comparison we used a Neuman u87, Neuman KM184, KEL HM-1 and Beyer Dynamic Opus 53. 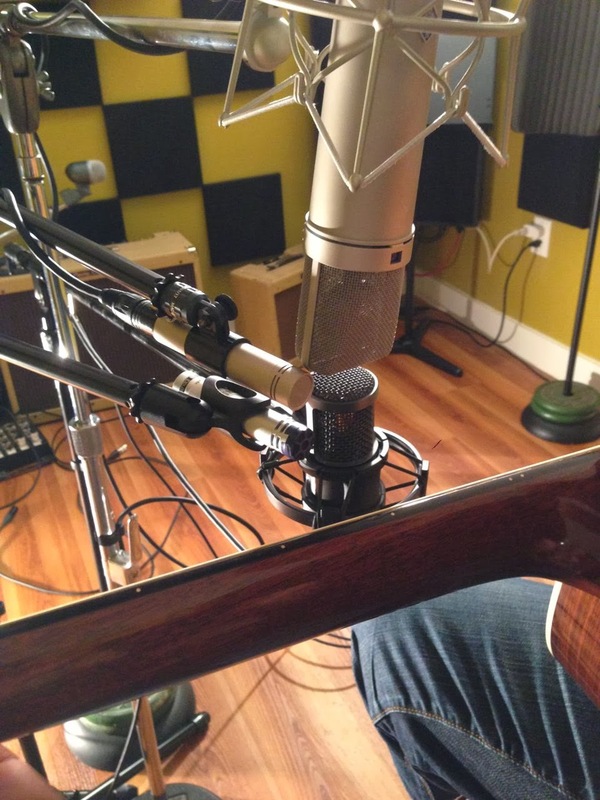 Basically some of the microphones we have available at our separate spaces to record acoustic guitars with. I don't have four each of the API and Great River preamps that I use at my studio so to keep the preamp out of the equation we used the 4 preamps that are built into my Apogee Ensemble. These are very clean, kind of sterile preamps so they work well for something like this. In order to get placement out of the equation as much as we could we placed all 4 microphones as close as possible together and pointed them at the 12th fret of the acoustic guitar which is a pretty standard placement. Acoustic guitar was a Martin D28 and Mike handled the strumming duties. I find that kind of quick switching is best for hearing immediately the differences between two sounds. As for which one sounds better? I'll leave you to judge for yourself. Mike and I definitely had our preferences but listen and decide for yourself.